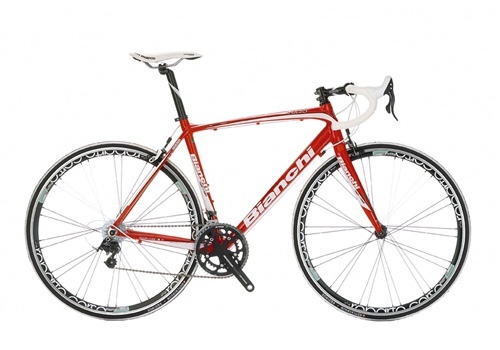 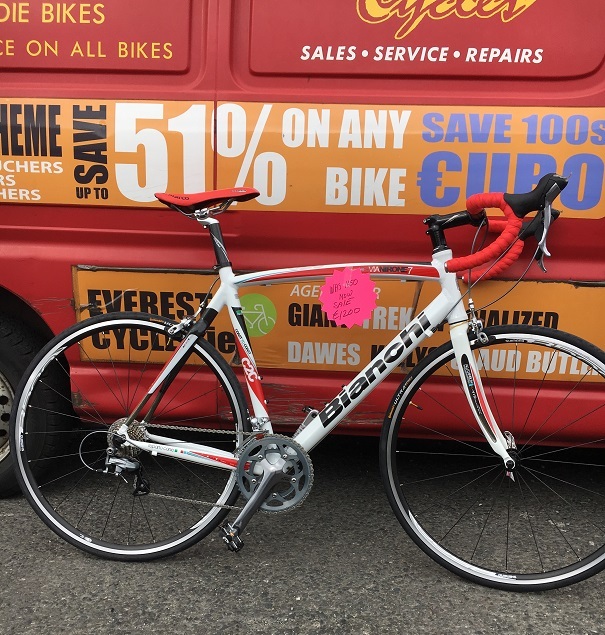 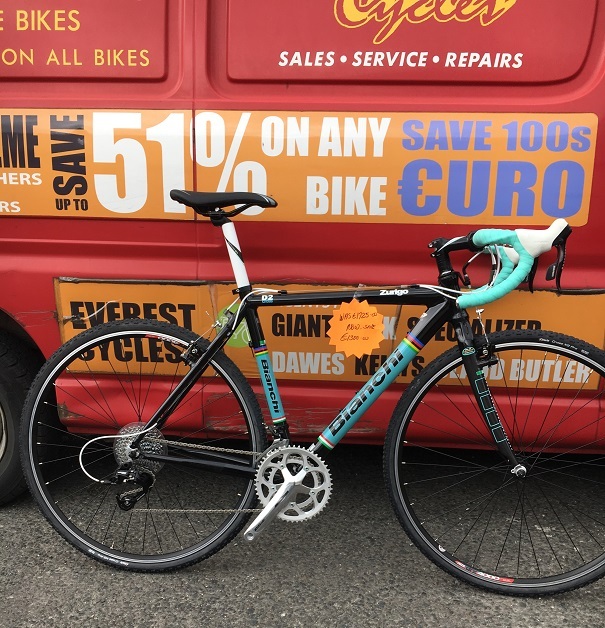 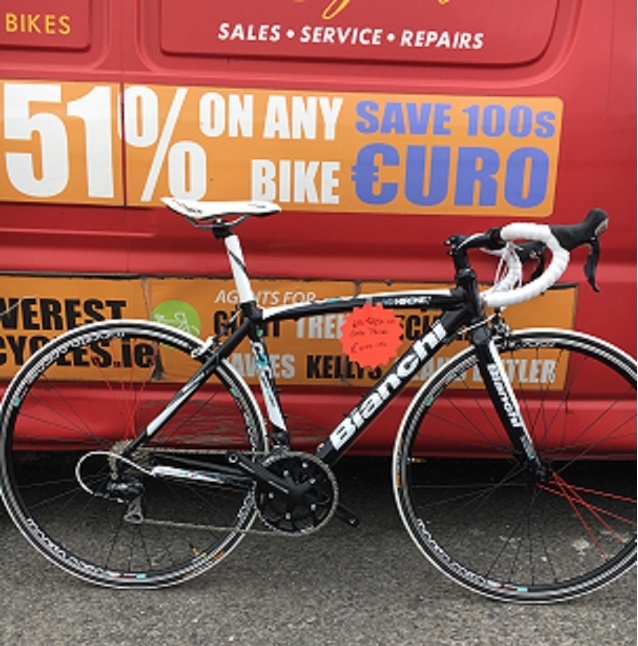 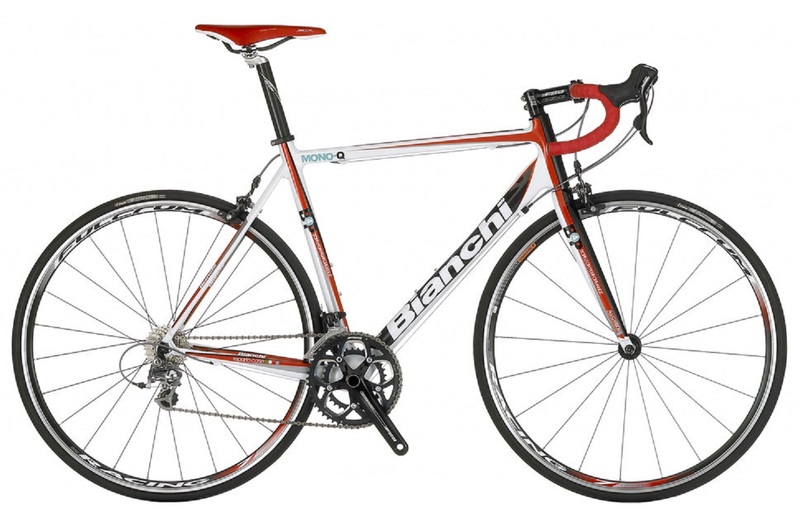 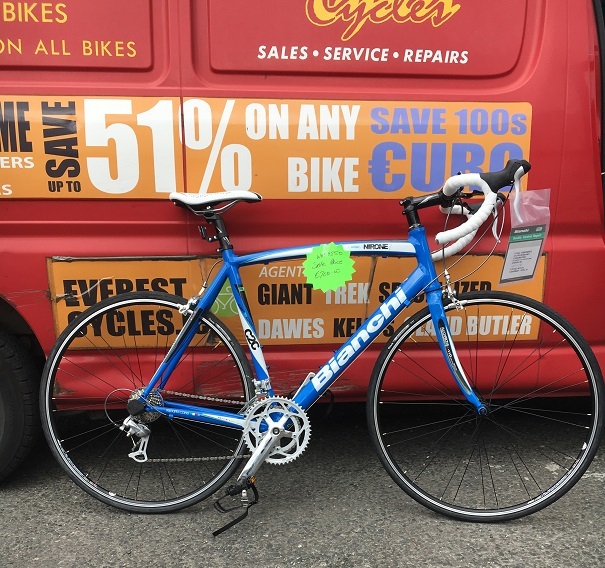 €1100 was €1450 Bianchi Nirone 7, C2C, 105 Groupset. 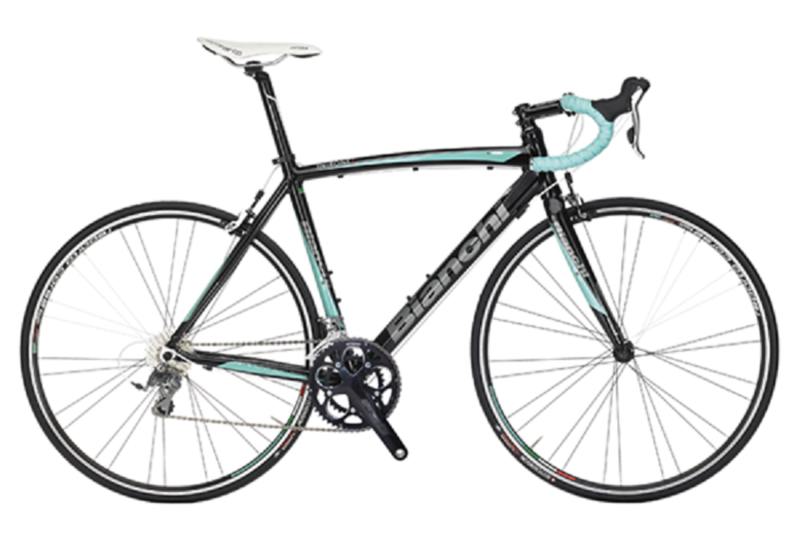 €850 was €1095 Behind the refined looks there is racing pedigree, though as part of Bianchi’s C2C range this is a frame designed for the long haul rather than leaps forward. 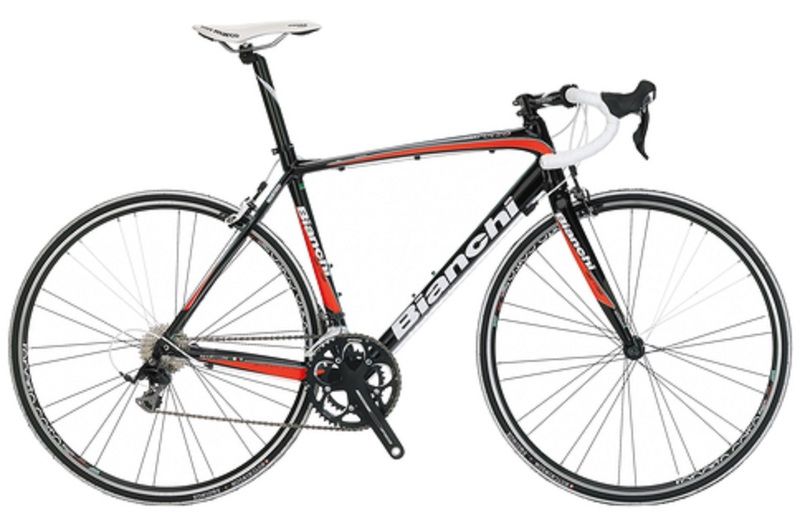 €1100 was €1450 Bianchi bikes established in 1885 and are the worlds oldest bike brand. 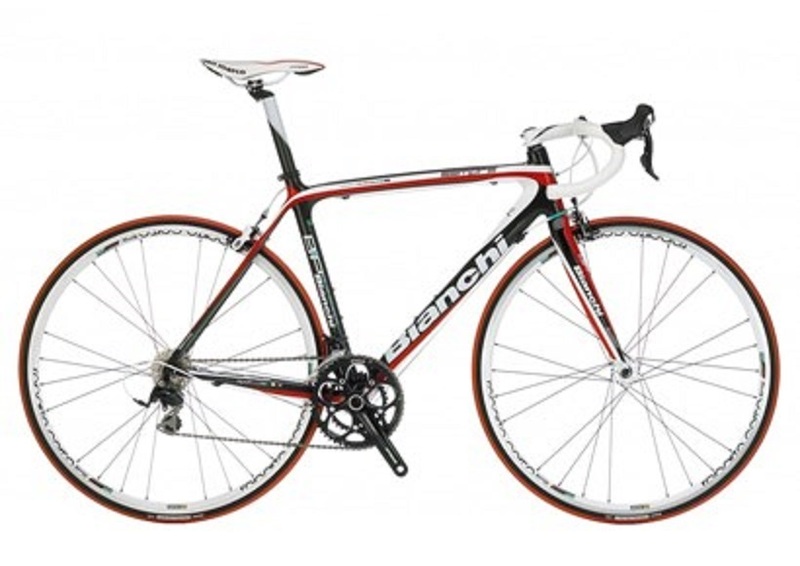 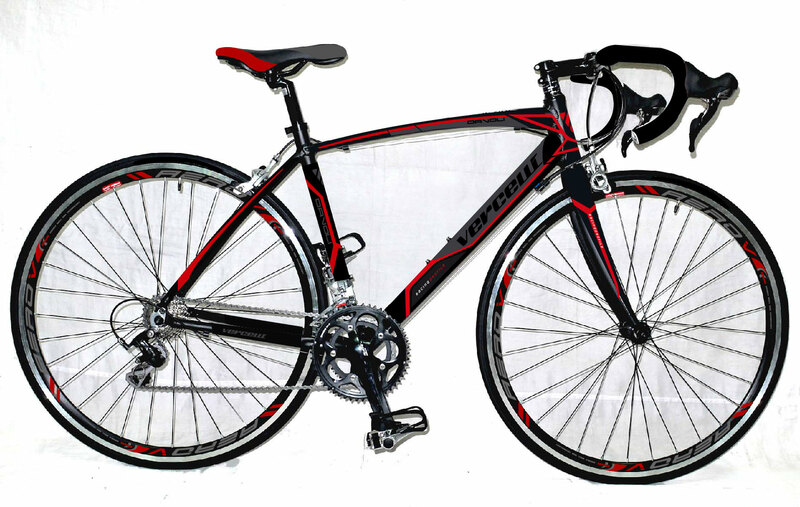 They have the experience and technology and have always been at the forefront of racing bikes.